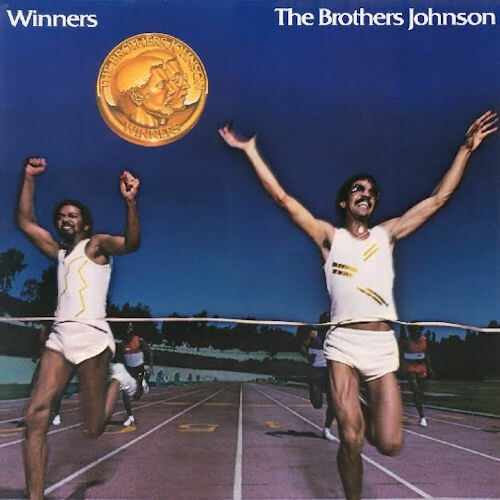 Winners i s the fifth studio album by The Brothers Johnson, released in 1981. The Brothers Johnson were an American funk, Motown and R&B band consisting of American musicians and brothers George (“Lightnin’ Licks”) and Louis E. Johnson (“Thunder Thumbs”). They achieved their greatest success from the mid-1970s to early 1980s, with three singles topping the R&B charts (“I’ll Be Good to You”, “Strawberry Letter 23”, and “Stomp!”). Their popular album Light Up The Night was released in March 1980 and rose to #5 on the Billboard 200. It was number 46 on the “Top 100 LPs of 1980” list in Rolling Stone. The brothers self-produced the subsequent album, Winners; released in July 1981, it only reached #48 on the Billboard 200. Sorry… Sune Schack….Something went wrong with the picture. Can you repost your comment? I forgot to mention that the song “In The Way” was written by David Paich, Jeffrey Porcaro and Steve Porcaro. They cannot run from that. Sounds like TOTO – funkier than ever…. Awesome! You are right, it’s a great album! Listening to it right now.